As some of you may know, I'm off to France tomorrow for 5 nights! I just started a bit of packing today as I hate leaving things til the last minute, so I figured I'd share some of my packing with you. Airlines have a liquid limit of 100ml, which can be slightly frustrating! Thankfully, I've managed to put together a travel bag full of hair and skin products that are all travel size and purse friendly! I picked up this Cath Kidston makeup bag in Kildare Village a few years ago and it's still my favourite bag to use. It's still in perfect shape and I love the bright pattern! Let's take a look at what's inside, shall we? I popped into Penneys yesterday for a last minute holiday shop, and I was delighted to see empty travel size bottles for €1.50! The small jar is perfect for my moisturiser and I'm putting my Vichy SPF50 into one of the bottles. I also picked up a toothbrush holder, something I've never seen before but seeing as you get two (a pink and a clear one) for €1.50, I couldn't say no. The last thing I picked up in Penneys were a two pack of eye makeup remover pads for €1.50, and these will be perfect for the music festival I'm heading to. Last week I headed to a press event with RDCommunications to view their latest Summer releases, and we received a generous goody bag with plenty of travel sized products. I'm definitely bringing the Ziaja Face Cream* with SPF50, as I get sunburnt super easily and I hate the feeling of regular suncream on my face- it blocks my pores! I also got REN Moroccan Rose Otto Body Wash* and Body Lotion*. These smell absolutely divine, and I'm so excited to use them as REN Skincare are a favourite among many bloggers. I was recently sent an Argan Secret Travel Kit* (availible from Sally Express) and I'll certainly be bringing some of the items with me as they look and smell amazing. The Luxury Smoothing Shampoo and Conditioner are both 100ml meaning I'll have plenty to last me the 5 nights I'm there. The kit also came with a mini hairbrush which is the cutest thing ever! So there you have it! 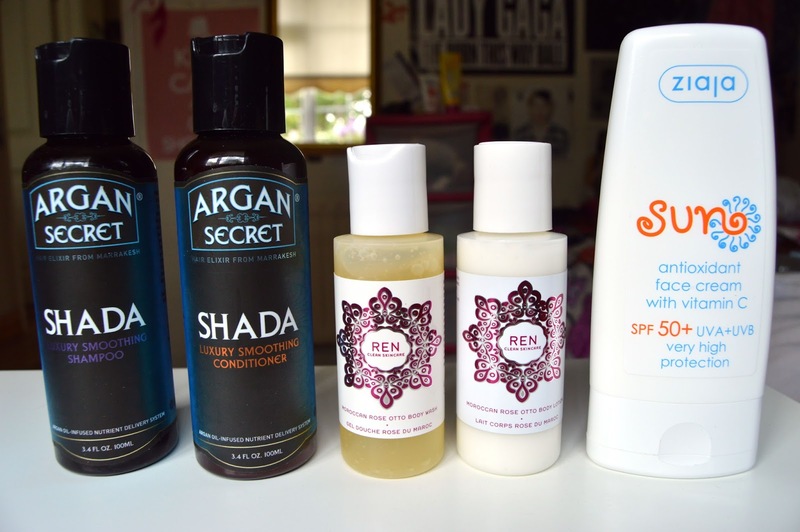 The contents of my travel beauty bag. Let me know if you'd like to see more travel posts in future! 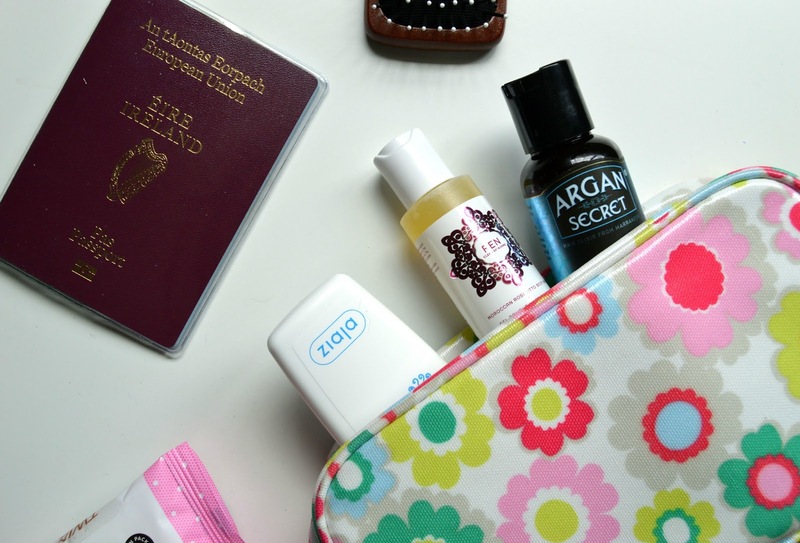 What's in your travel bag? Although I'm only heading to one music festival this year so far (Festival Beauregard in Caen, France next weekend!) I know a lot of you are probably heading to more. I've put together a collection of some of my festival essentials: from beauty to fashion and more (make sure your adblocker is off so you can see the widget!) I already have my outfit planned but for those who are still looking for ideas, I've got all the style inspiration you'll need right here. Let me know what your festival essentials are in the comments below, too. I think the most important thing to remember when dressing for a festival is the weather! Irish weather is very unpredictable, and there's nothing worse than feeling uncomfortable in the rain. If we're blessed with good weather or you're heading to warmer venue like me (hello French heat wave!) make sure you're protected from the deadly heat with a hat and suncream. Comfortable shoes are a must, especially if you're going to be walking around and dancing a lot. Festival Style Inspo & Essentials! Seeing as I wore this outfit on a night out with friends, I figured it was best to call it an 'OOTN' (outfit of the night) instead of my usual OOTD. Enough of the rambling though! I bought this little black dress in Topshop on sale a few months ago, and it's so comfortable- I love it! 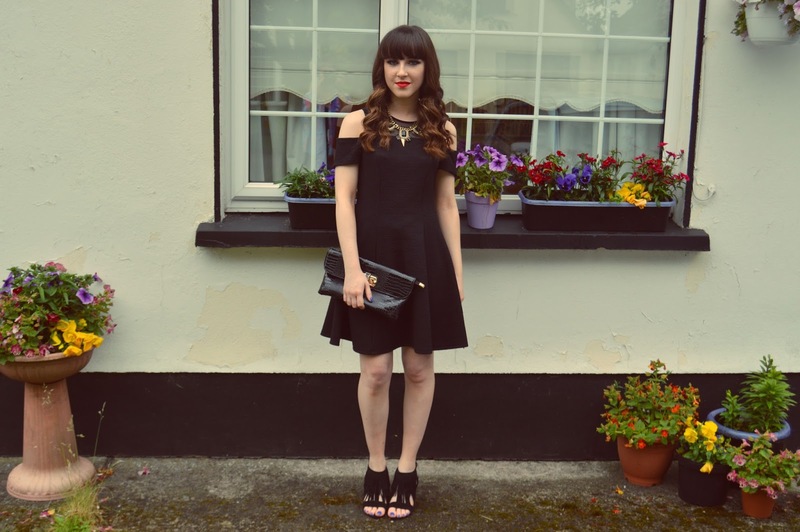 LBDs are such staple pieces, and I have more than one in my wardrobe, that's for sure. They can be worn dressed down during the day or up at night. 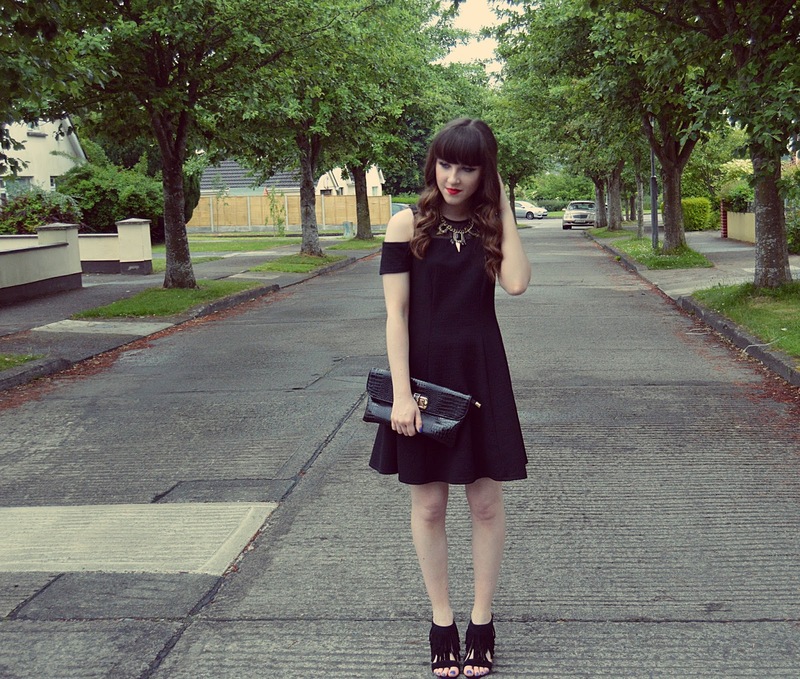 If you don't have an LBD in your wardrobe, what better time to get one than Summer! Apologises for the weird lighting in the pictures, the sun was setting and messed up the quality a bit. I'm still trying to get to grips with my camera! I love reading, learning and watching things about fashion, so I thought I'd share some of my fashion favourites with you guys! First up- documentaries. I find fashion documentaries so relaxing and informative, and seeing as two of my favourites are in French, they're educational too! I'm always trying to expand my knowledge of the fashion industry and I find it easiest to do this in a visual manner. Let's get straight into it! ‌•Coco Avant Chanel: I watched this a couple of years back and fell in love. Audrey Tatou plays Coco extremely well, and the clothes are beautiful in it. This is technically a documentary film, but it's one of my favourites nonetheless. If you're into fashion history I highly recommend that you check this out. It's in French but there are subtitles (if you cant find it under Coco Avant Chanel, try Coco Before Chanel instead!). ‌•Yves Saint Laurent: Another French documentary film! I actually only found this on Netflix a couple of weeks ago. Although some parts of it were a bit long drawn out, it was an extremely fascinating film overall. I gained a lot of respect for YSL after watching it, as he really did have a tough life. If you enjoyed Coco, you'll definitely enjoy this! ‌•The September Issue: I've watched this countless times on DVD, but I recently noticed that it's on Netflix too! The September Issue documents the work that goes into the famous (and biggest) issue of Vogue Magazine that comes out annually. It's like a real-life version of the Devil Wears Prada! The style, the celebs..I loved it all! It really gives such an insightful look at Anna Wintour's life too. 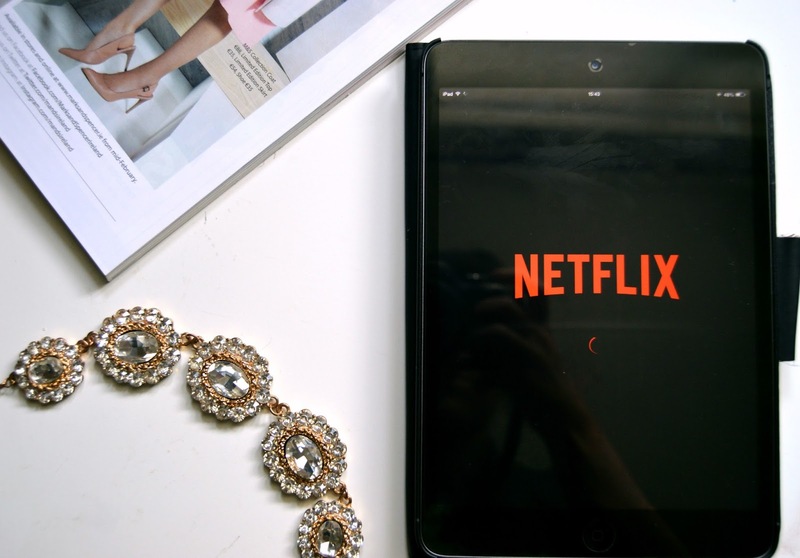 ‌•Bill Cunningham New York: Another Netflix pick! This documentary follows the work of legendary fashion photographer, Bill Cunningham, and his work for the New York Times. His street style photos are stunning, and this quirky documentary is a real feel-good watch. Have you any fashion documentary recommendations? Leave your suggestions below! I was recently asked by Xposé Magazine, one of Ireland's top fashion magazines, to show how I'd style monochrome for Summer. I'm delighted to be featured in the July issue which is out now! This outfit was shot a couple of weeks back, and I'm excited to be able to share the photos with you now. I think the most important thing to remember when wearing monochrome during the warmer months is to keep pieces light, as black attracts the sun! Don't be afraid to add pops of colour through our makeup or accessories, which is what I've done here with my lipstick and necklace. 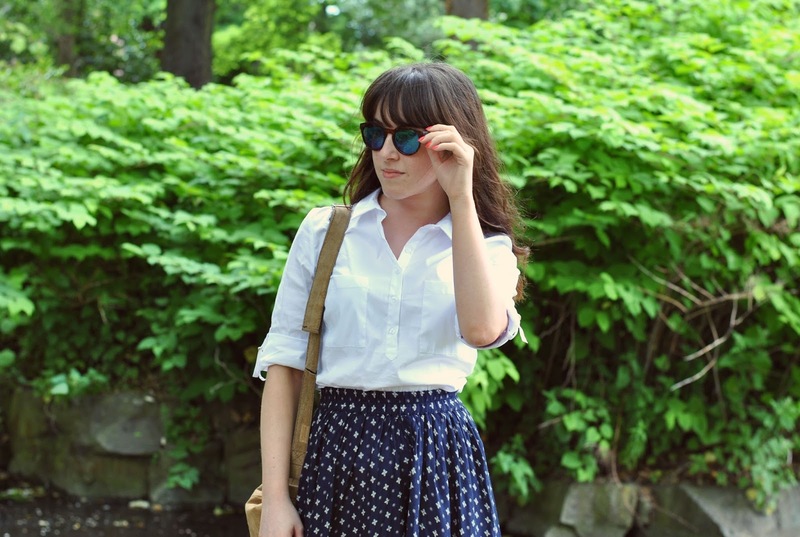 Will you be trying the monochrome trend this Summer? I was recently invited by TONI&GUY to try out the new ecaille style. Ecaille is a new trend that's proving to be quite popular lately- it's like lighter balayage! My nearest TONI&GUY salon is on Clarendon Street in Dublin, so I headed in there to receive my new Summer 'do. 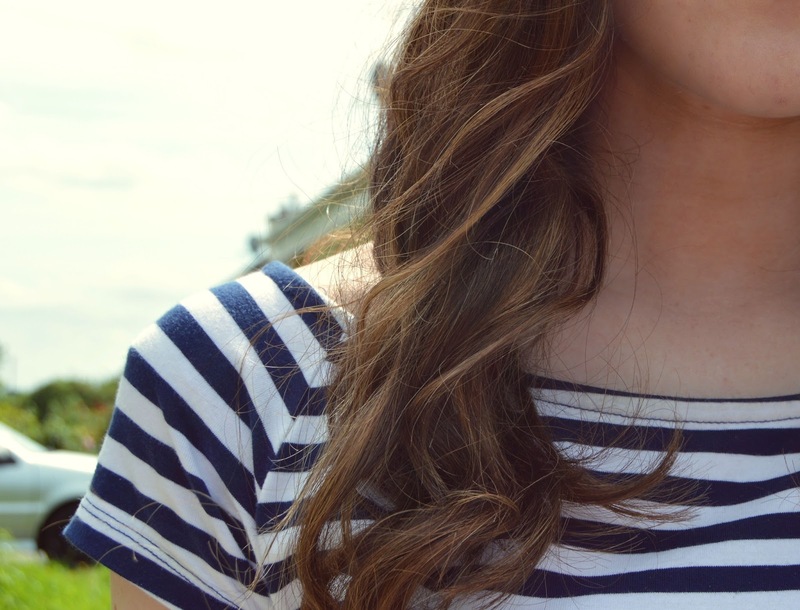 Rather than bombarding my hairdresser with funny French words, I simply showed him a few pictures of my desired look and explained how I wanted something really subtle, with caramel tones. My colourist, Neal, did such a perfect job on the colour- I'm in love! 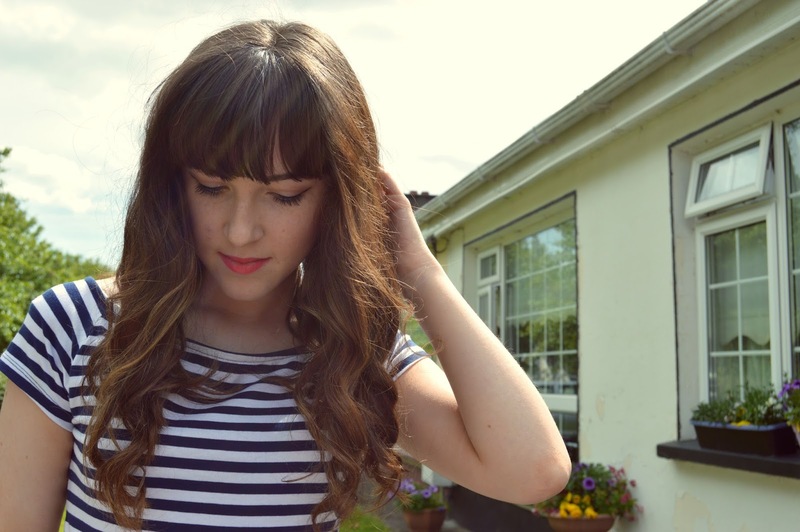 I then had about half an inch cut off the ends of my hair, and my fringe trimmed and thinned out by Hilary. The first thing I noticed when I walked into the salon was how professional it looked. The staff were all so friendly, I can't get over the service there! I was there for 3 hours, but it honestly didn't feel that long because it was so chill. I love getting my hair done- it's so relaxing! I was even served a delicious hot chocolate, which made the experience even better, in my opinion.. If you're planning on getting your hair done some time soon, I can't recommend TONI&GUY enough. They really listened to what I wanted, and my hair feels so soft and silky now after their careful treatment. If you're looking for a luxurious hair experience, definitely check them out! Balayage prices are given on consultation, but you can check out their site for more info here. I'll definitely be returning anyways! What do you think of my new 'do? I'm in love! As some of you may know, Florence + The Machine are one of my favourite bands, and I'm going to see them in France this Summer. I've been loving their latest album- it has such chill vibes. I found it only fitting to name this outfit after it ! 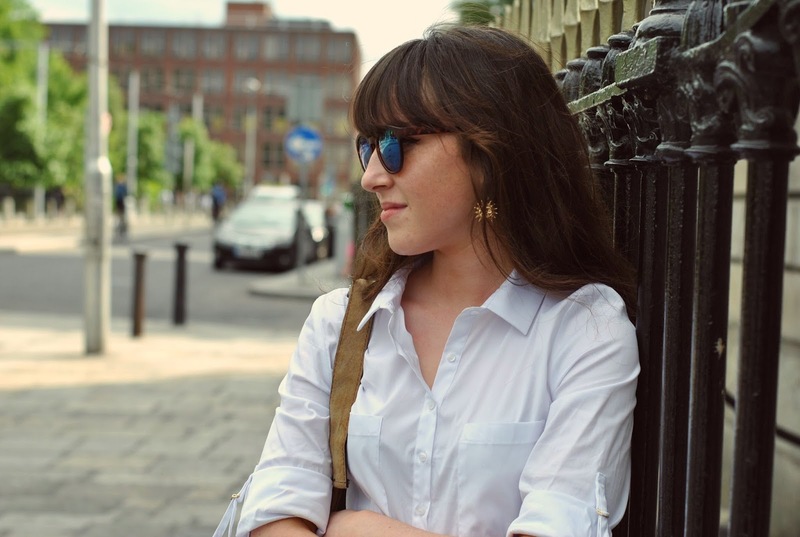 Yesterday I met up with some friends in Dublin city, and my friend Isha kindly took these photos for me. She's a brilliant photographer, and I recommend checking out her instagram, you won't regret it! 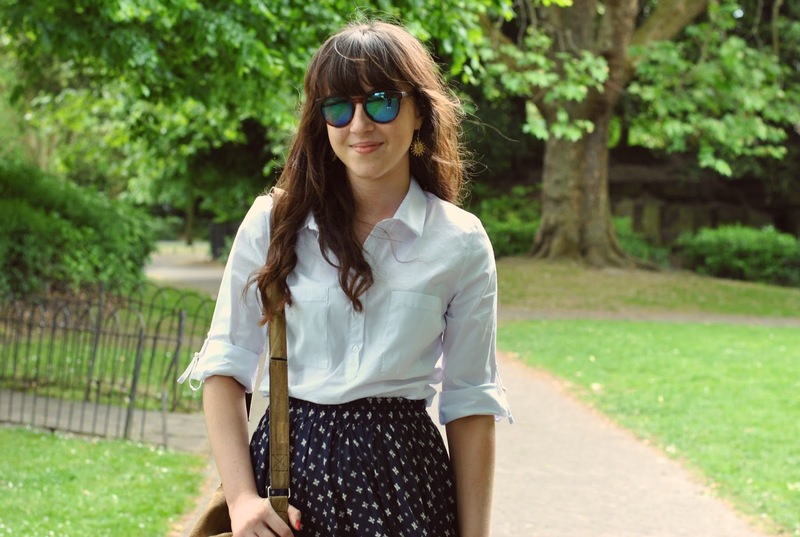 I recently won a €250 shopping spree with Galaxy Chocolate and Frock Advisor on twitter, so naturally, I went and bought a few new Summer staples! I picked up this white shirt in Zara because it's something I've been wanting to add to my wardrobe for a long time, and I wanted one that would last a while. 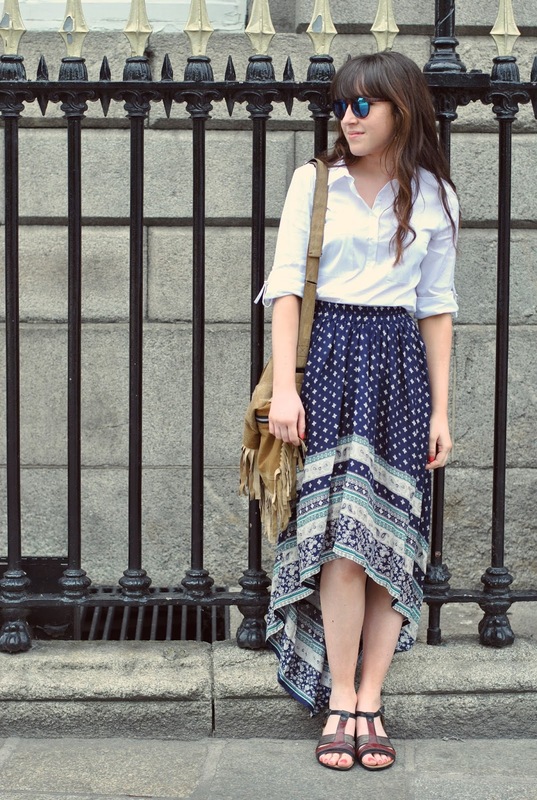 I also bought this gorgeous printed skirt in Penneys, and I'm in love with it! 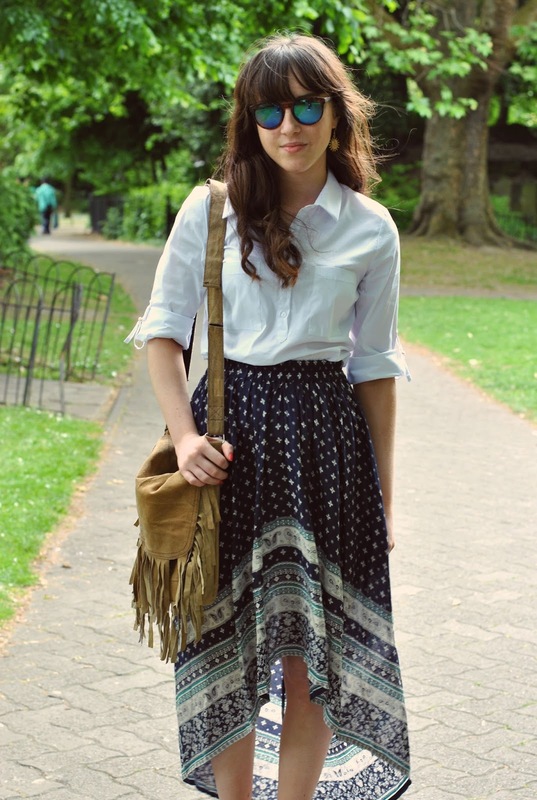 Every Summer, there's one trend that catches my eye- and this year, it's the beloved boho style. Over the holidays I'll be taking inspiration from the 70s, Stevie Nicks and Free People's Pinterest page (seriously, you should check it out, there are so many beautiful images on it!). 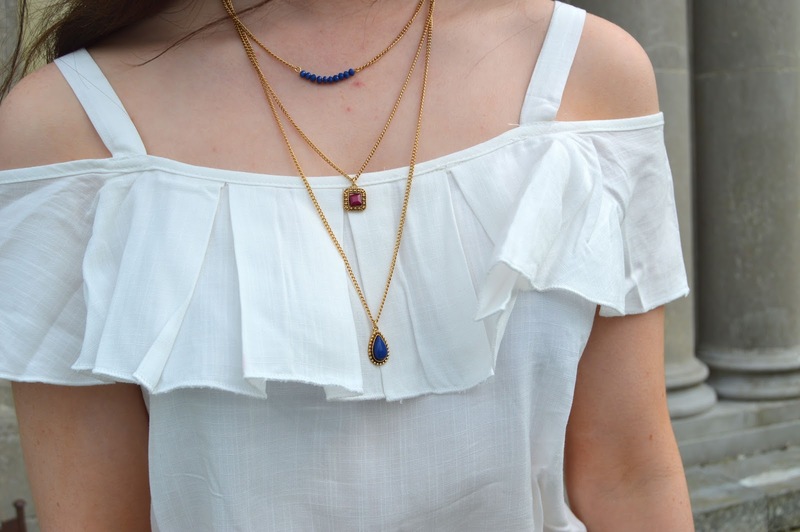 One trend that I've noticed in the windows of many a shop, however, is the off-the-shoulder or 'bardot' top. Getting it's name from 60s icon, Brigitte Bardot, the Bardot top is effortless yet stylish. There's just something about off the shoulder tops that I can't put my finger on. They make me feel glamorous, I guess! 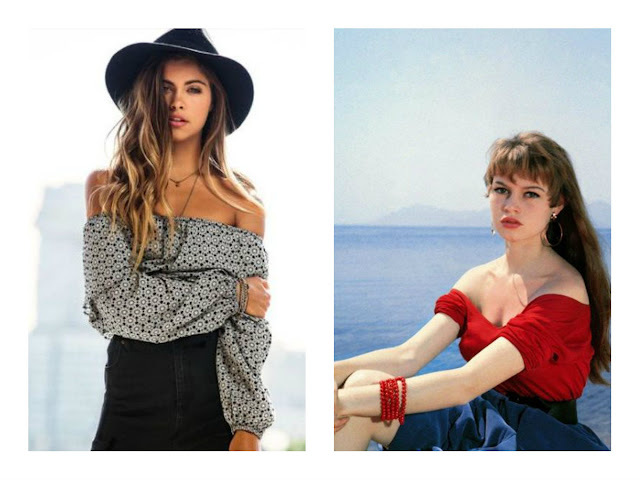 Will you be rocking the Bardot top this Summer? I certainly will! Exams are finally over, and I'm finished school forever! As you might have noticed, my blog has undergone a complete makeover. My template is by pipdig, who I can't recommend enough, and my header was done by my friend Alex. I'm so so happy with it! Now that I have plenty of free time on my hands, I'm going to be posting every second day like I used to. If things go really well, I'll give daily posting a go! Anyways, on to the tag! I was recently tagged by the lovely Shona from elliejayden.com to do 'The Makeup Addict Tag'. When I first started blogging, I was really into beauty blogging, but for some reason the flame sort of died out. Lately however, I've been really getting back into makeup again,so I figured this tag would be a perfect idea! 1. What product do you keep buying more of, despite having plenty of in your collection? Probably lipstick! Although I don't have a crazy big collection, I have a habit of buying the same shades over and over again- particularly red, berry and nudes. I'm obsessed! 2. What’s the one product you can’t live without? 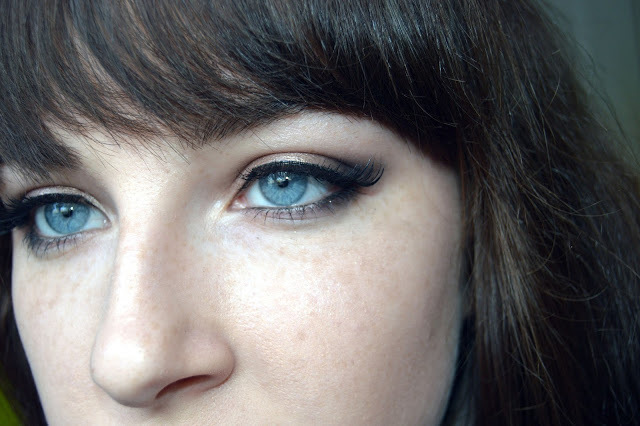 Without a doubt- liquid eyeliner. As I'm sure some of you may have noticed, I wear winged eyeliner all. the. time. Seriously- I feel naked without my trademark wings! I've been wearing winged eyeliner for years now, and it's just become a part of me I guess! That's definitely a tough one, there's just so many! I like different brands for different products, in all honesty. MAC are my favourite lipstick brand, but Urban Decay do amazing eyeshadows. Highstreet wise, it would probably have to be Essence of NYX. Not as big as you might think! I'm running out of space to put things if I'm honest, but let's just put that down to small storage space, shall we? 5. How do you store your makeup collection? Most of my makeup is in the drawer under my desk, and I have dividers for each section. I store my lipsticks in acrylic lipstick holders on my shelf though- I love having my beloved lipstick collection on display! 6. 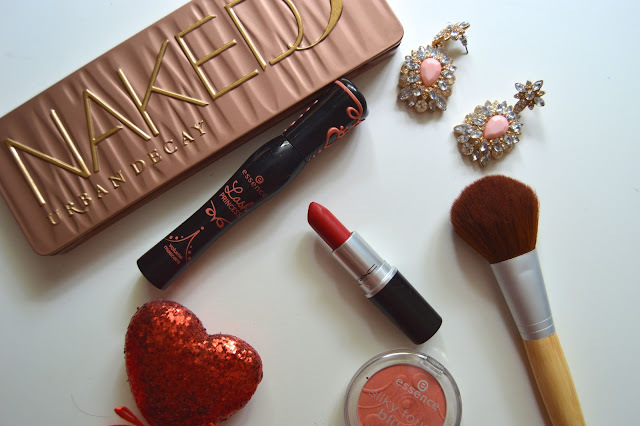 How many items of makeup do you have in your handbag at the moment? Surprisingly-nothing! I always change around the makeup in my bag, depending on what products I used that morning. Usually there's lipstick and concealer anyways! I think I'm going to have answer with a Youtuber's name for this, simply because I always watch makeup collection videos haha! Either shaaanxo, Carli Bybel or KathleenLights for sure. 8. How long does your makeup routine take and how many products do you use? Probably about 20 mins, longer if I'm going out at night! I just had a quick count, and my everyday makeup routine consists of about 8 products, depending on what kind of look I'm going for. 9. Have you ever bought makeup knowing you wouldn’t use it? Believe it or not- no! As a teenager with no job, I've taught myself to me careful with what I'm spending. I only buy products I know I'll use for sure! Hey my name is Alex and I'm the owner of the 'It's Just Alex' blog. 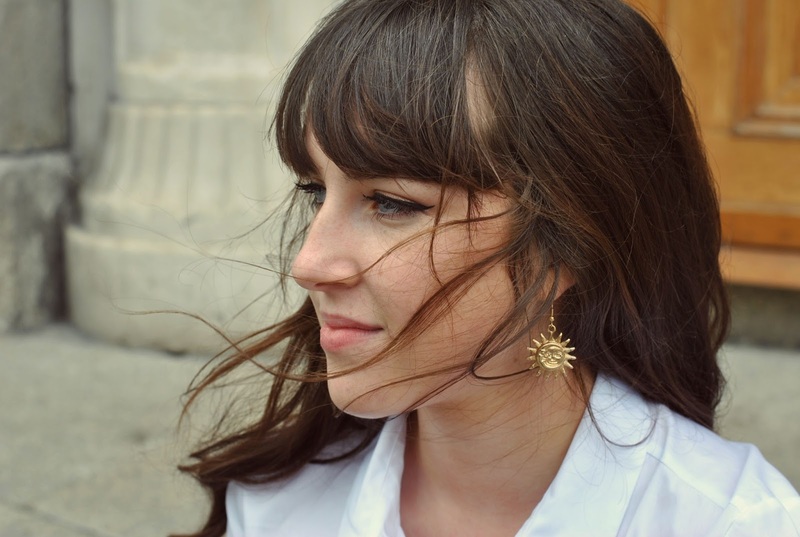 I'm so happy to be guest posting on Rachel's blog and I hope you enjoy this post. 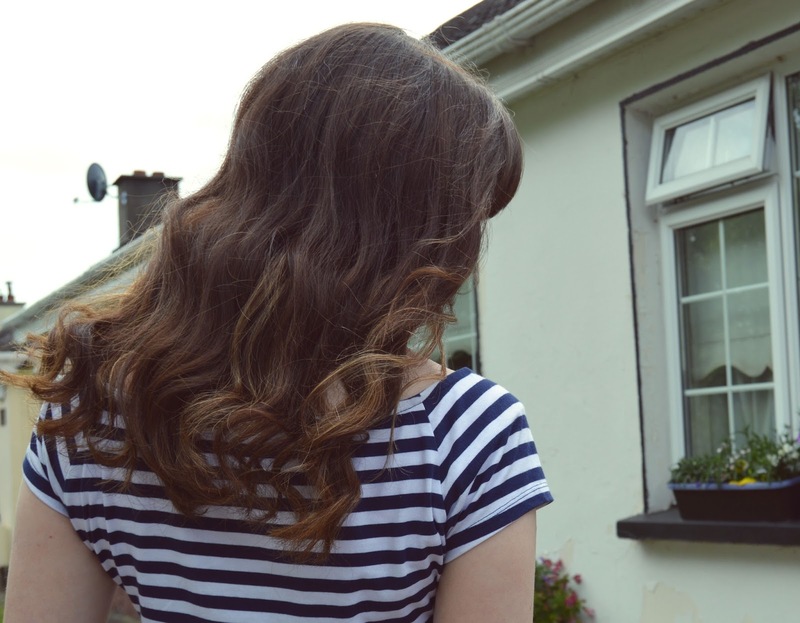 I'm a 16 year old blogger that is also from Dublin, Ireland. I'm a beauty and fashion fanatic, as well as being book and TV show obsessed. My aim is to post helpful tips, tutorials and reviews so if this post interests you don't forget to check out my blog so you can find out more home remedies and beauty tips at http://www.itsjustalex.com. I'll be writing a post on my latest skincare obsession, banana's. First I'll tell you how beneficial banana's are for your skin. Banana's are rich in moisture, they will repair dry skin as well as smoothen rough ageing skin. It also helps if you have acne-prone oily skin, banana's can even control excess oil and reduce further breakouts. So I'm going to show you guys how to get healthier skin and a healthy snack too with just one banana. Banana peels are an excellent remedy for treating pimples. Just get your banana and directly apply the inside of a banana peel onto the area of troublesome skin to reduce inflammation and destroy bacteria. Rub the peel on the area for a few minutes until the inside of the banana peel turns slightly brown. Personally, after using the banana peel I can see the difference almost immediately after washing it off. I'd recommend doing this daily if you can as it is great for your skin and also will commit you to eating at least one banana a day which is also good. If you've got oily greasy skin, use a simple banana face mask with lemon juice and honey. Banana is a great exfoliant which helps get rid of excess oil on the skin's surface. It also contains and contains moisture, potassium and vitamins E and C which all encourage clear glowing skin. To make this mask you simply follow theses steps. Mash one half of a banana with the back of a fork in a bowl until there are no big lumps. Finish off with 1 tablespoon of lemon juice. I find it easiest to apply this face mask with a flat foundation brush. Leave the mask on for 20-30 minutes, rinse with warm water and pat your face dry. I'd recommend you use the banana peel first as you want to use it when it's freshly peeled, if you leave there while you wait to wash off the mask it wouldn't be as beneficial. But don't let the other half of that banana go to waste as they're great, not just for skin but overall health as well. You can just eat the other half or even throw it into a blender with other some other fruits to make a smoothie! I hope you enjoyed reading my guest post and take the time to try this skin treatment out because it is super quick and easy and has helped me get rid of some pimples way faster than usual. Guest Post: DIY Banana Skin Treatments!